Ok, a little break from my Ireland/Scotland shots, just to mix it up a bit. I'll have more from that trip that I will post next week. This one comes from a little closer to home. In fact, it was real close to home since I took it in downtown Austin a while back. 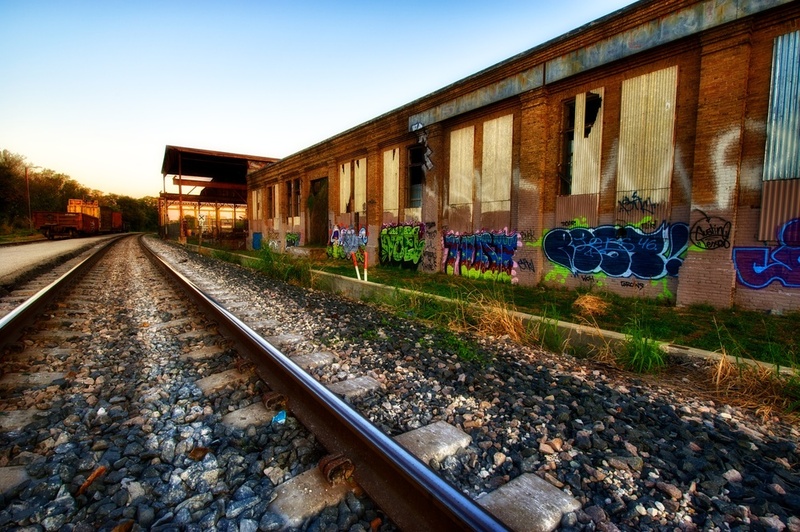 This is a fun spot to shoot, since you have the train tracks and the decaying building with graffiti all over it. It's like a perfect combo of all the cool stuff! !